What has worked for one project may not achieve the desired results on another, given the diverse situations we often encounter out on the project site. 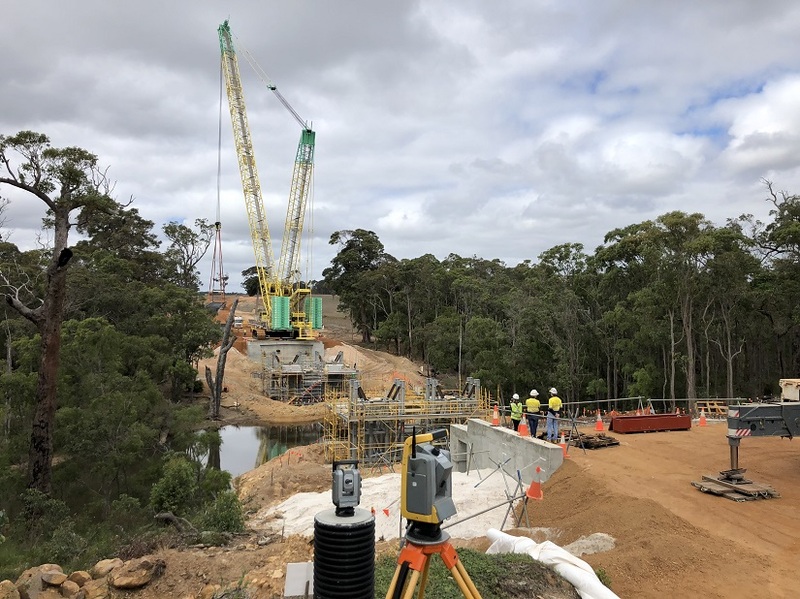 That being said, our team recently received a call wanting to discuss how we could provide a live structural monitoring solution on the Margaret River Perimeter Road bridge construction site. 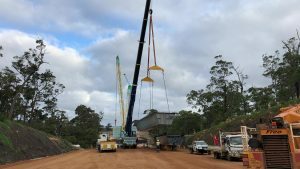 Given a 650 tonne crane was to be positioned mere metres from a newly constructed bridge abutment, while lifting 77 tonne bridge beams, we certainly gave it our full attention – as we searched for solutions. Over the days that followed, we worked through all available options with the project team, as the “lift date” drew close. Due to the reality of a complex site, no guarantees of accessible sight lines and the addition of another 350 tonne crane, we successfully implemented two individual “Total-station” Instruments, monitoring both the eastern and western bridge abutment “wing-walls” to ensure monitoring coverage across the entire bridge site. 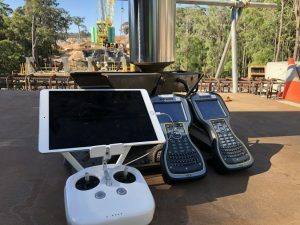 Utilising Trimble mobile monitoring software, we were able to provide real-time structural monitoring, on a per-minute basis across an 11 hour day on each of the seven lift days with no need for survey staff to physically enter the works area. With pre-defined movement alerts and daily reporting this solution provided invaluable data to both support the safe lifting operation and prove the integrity of the abutment structure. Harley Dykstra are pleased to have had the opportunity to apply their broad experience and innovative approach to this specialist project. Our team have worked together to achieve outstanding results for our clients, and we congratulate them for their work. How can we apply our skills to solve challenges for you?